VeryApt is a buyer’s realtor that is using technology and data analytics to simplify the process of apartment hunting. Already present with their concierge service in three cities, the company has earned rave reviews from its customers and plans to enter the city of dreams next. Over coffee on a chilly Philadelphia afternoon, Ashrit Kamireddi (Co-Founder and CEO, VeryApt) calmly describes his journey of the scrappy startup he founded with Scott Bierbryer and Andrew Mackowski while he was an MBA student at Wharton. Five years since its inception, VeryApt is laser-focused on scaling the brokerage business. Think AirBnB, Uber, Yelp…..think VeryApt! Imagine a platform that helps prospective renters leverage the power of the crowd to help select their next apartment. Building trust through a platform has been enormously successful for companies like AirBnB, Uber and Yelp. Now, VeryApt is trying to build the same level of trust in the apartment rental market. The company’s vision is to provide transparency to apartment seekers by sourcing valuable insights from previous renters. Information that is difficult to unearth in a 5-minute rendezvous with a leasing agent at an apartment. If you are looking for an apartment, chances are your understanding of any property will be dependent upon the broker. The myriad of factors behind finding the right apartment often makes the search process slow and painful (hence the high turnover of apartments in cities today). Through a data-centric approach and on-demand scheduling service, VeryApt is taking on the challenge of transforming the experience. At the core of soliciting feedback is the VeryApt questionnaire that guides the user to respond to critical issues. The questionnaire begins by profiling the user as single or family, professional or student, etc. The second and third sections allow users to describe their apartment and neighborhood, with an already curated list of features. The user here is required to leave a review that has a minimum character limit, so just a “nice place” or “terrible landlord” won’t make the cut for a VeryApt review. After verification, feedback providers are rewarded with the gift that keeps on giving – a Starbucks gift card! In its early years, VeryApt was primarily a tool customers would utilize to pull information about various buildings and apartment units. However, it quickly became clear that the founders’ vision couldn’t be achieved by merely providing peer-reviewed information. Now, there are three cities (Philadelphia, Washington D.C. and Chicago) where VeryApt has a full-service concierge for its customers. This feature provides tailored, one-on-one customer service as well as agents to provide apartment showings. Brokers typically have a lot to deal with; building relationships with landlords, scheduling the visitations, and managing information on their apartments, houses, and neighborhoods which all differ significantly within and between cities. All of this puts an upper lid on the number of leases they can close in a year. At VeryApt, higher conversion rates for agents are possible due to automated scheduling, and narrowing the scope early for the renter. VeryApt can take pride in their customers acknowledging these benefits already. On TrustPilot, VeryApt has been rated “Excellent” by 98% of the customers, with reviews across the board highlighting speed and accuracy. VeryApt was started by three founders, Ashrit Kamireddi (CEO), Scott Bierbryer (COO) and Andrew Mackowski (CTO). They seem to have a focused approach towards scaling this venture. Before beginning his MBA at Wharton, Ashrit worked in the online travel industry as an Acquisition Manager at Tripadvisor. At Wharton, he focused his academics on marketing and entrepreneurship while also working full-time on VeryApt. In our conversation, I noticed his flexibility around the need for change, whether in the company’s business model or adaptations when entering a new city. I believe this is crucial to the success of VeryApt. Scott Bierbeyer is the quintessential behind the scenes man ensuring a tight ship. Scott’s financial understanding of the travel business from his time at hedge funds gives him functional skills in managing the business. With his focus on management as an MBA student at Wharton, Scott now leads the hiring of key personnel as the company scales its practice to major cities like Chicago and ensures that the day-to-day details are perfected. 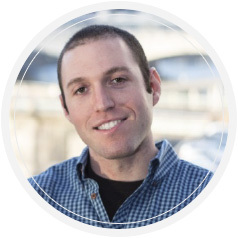 Andrew Mackowski has a Ph.D. in Mechanical Engineering and brings a strong understanding of the product’s underlying technology. He is laser-focused on harnessing VeryApt’s data to provide valuable analytics and insights that will serve as another differentiator for the company. 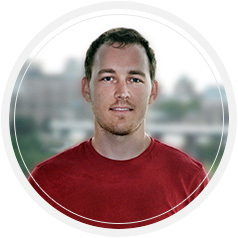 He is joined on the technology team by Ross Bierbryer, a computer science engineer with experience in applications in financial and tech industry. The rental market in America is estimated at $519B in 2016. With urbanization continuing unabated, multifamily properties construction increased dramatically in 2016; as many as 93% of them are being built for rentals. Typically, the brokerage fees are one month’s rent which are shared between the listing and the buyer’s realtor. A quick back-of-the-envelope calculation puts the potential size of the market for rental brokers at $21B. VeryApt is riding these trends noted above by focusing on new multi-family properties. Ashrit highlighted that the Philadelphia rental market has several new buildings for renters which did not even exist three years ago. Since VeryApt launched their concierge services in Philadelphia about 18 months ago, they rent across more than 100 buildings with greater than 20 move-ins in at least a handful. Once they launch in a new city – typically their ramp-up takes less than 6 months. VeryApt has ambitions of launching in a number of new markets and maintains data on a number of potential cities. Yet, they remain cognizant of crucial factors before choosing their next move-in (pun intended). The filters they apply include the question of whether the engine works in that city and whether they have agents and staff on the ground. Washington DC was a natural choice following Philadelphia in summer 2017 – a city with higher median rent and proximity to VeryApt headquarters. But their biggest move has been the most recent launch in Chicago where the product is rapidly gaining traction. The team projects that the number of transactions supported in Chicago this year alone will surpass the number of transactions in Philadelphia in the last two years. VeryApt finds its customers in two ways primarily. First, customers come across their portal while searching for their next apartments online. Second, VeryApt has more than 70 partnerships with large institutions such as colleges / universities and some corporations. For example, UPenn students all know of VeryApt through their distribution of a guide to Philadelphia during orientation. Partnerships that allow for specific targeting of customers are the key to VeryApt’s marketing efforts as they continue to service new destinations. One out of ten people that visit the VeryApt website become a VeryApt client. For every move-in supported, the company’s brings in about $1000 on average. Philadelphia has been the main driver of growth so far, but the team believes this will be overtaken by Chicago in terms of both transactions and revenue by next year. Still, scaling the business takes time, energy, and money. VeryApt incurs an average upfront capital cost of $0.5M when expanding to a new city to cover hiring, regulatory and marketing costs. There are additional challenges beyond capital that the company faces. First, every city is unique in its own way, so there are adjustments required to the portal and the practice. Second, some cities may not have a easily available listing system to find all the inventory. Third, VeryApt needs to preserve its competitive advantage and be differentiated in the rental market. Finally, it’s easy to make a Yelper who can review several restaurants a year. But VeryApters typically only live in one apartment a year, which puts limits on customer engagement! Can VeryApt look to offer a personalized service to its customers as they make their moves? Maybe in time. VeryApt’s next stop: The Big Apple! The timing is right in the company’s journey with three proven markets to now join forces for New York City. It will be a tough test, and one that the team, the product and the company is ready for. 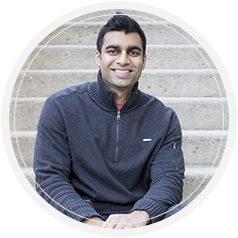 Upadhi is a 2nd year MBA at the Wharton School, University of Pennsylvania. Her background includes eight years of experience in investment banking and commodities markets with top-tier investment banks across Asia, Europe and North America. She pursued engineering from IIT, Bombay in India and is interested in emerging technologies. She will be joining Microsoft for Product Strategy and Corporate Development this summer focusing on areas such as cybersecurity, IoT. Upadhi also has a passion for travelling, cooking and has picked up squash and swimming recently. You can reach Upadhi at upadhi@thestartu.com.